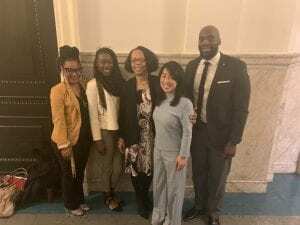 On Thursday 3/14, Philadelphia City Council proclaimed the week of March 17 to March 23, 2019 as “National Safe Place Week” in Philadelphia. The proclamation was sponsored by Councilmember Helen Gym . This nationally recognized week highlights Safe Place®, an outreach and prevention program which brings together youth agencies, businesses and public organizations, and volunteers to provide immediate help and safety for all young people. National Safe Place Week is a time to raise awareness of Safe Place as a critical connection to supportive resources for youth and the needs of youth overall. 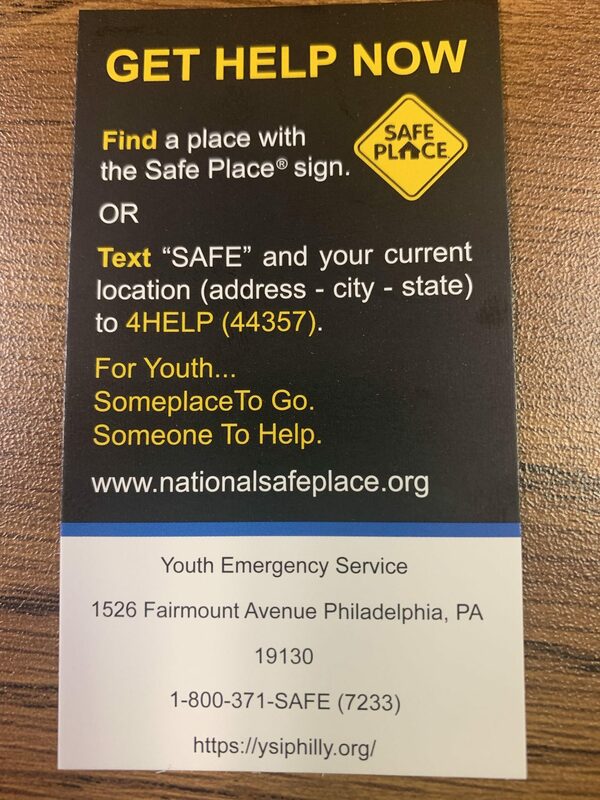 Safe Place, operated locally by Youth Emergency Service, a program of Youth Service, Inc., partners with businesses and community organizations such as the YMCA at Colombia North and ShopRite grocery stores to provide immediate safety and support for local youth. 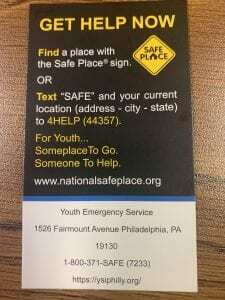 There are over 30 Safe Place site locations in Philadelphia.